AvoDerm utilizes avocados as a common ingredient in all recipes, but it’s not as dominant as you might think. There’s also a pretty big difference (in our opinion) in quality between their standard AvoDerm Natural lineup and their AvoDerm Revolving Menus Grain-Free selection. We definitely prefer the Grain-Free recipe because of better nutrient breakdowns. The claim may seem dubious, but decades worth of dog owners have sworn by the product, and the company has remained in the top tier of the pet food industry since the 1980’s. For this review we will analyze their Grain-Free Revolving Menu line-up, which is a big improvement from their basic AvoDerm Natural selection. AvoDerm makes use of high quality ingredients in all of its products, and most of the protein sources for the food come from chicken and lamb, while actively trying to avoid beef, corn, or soy. Most, but not all varieties also have healthy grains, such as rice, oatmeal, and alfalfa. The company also promises no by-products or artificial colors in any of their foods. As mentioned earlier, they key to this food, and what really sets it apart from the rest of the industry, is the inclusion of avocado in the food. Avocado, which has been used in the world of cosmetics for years, is touted by the company as being their secret weapons, providing for a better coat and healthier skin for all the dogs who eat it. Analyzing the first 10 ingredients in a dog food is a great way to understand the overall nutrient content of the dog food because AAFCO requires all dog food ingredients to be listed in order of predominance by their weight. Here’s a closer look at what’s inside AvoDerm Natural Grain-Free Revolving Menu Lamb & Sweet Potato Recipe Adult. Lamb, Lamb Meal, Garbonzo Beans, Peas, Pea Flour, Sweet Potato, Pea Protein, Canola Oil (Preserved with Mixed Tocopherols), Avocado, Dried Tomato Pomace, Natural Flavor, Flax Seed (Source of Omega 3), Pea Fiber, Dried Chicory Root, Salt, Potassium Chloride, Kelp Meal, Vitamins (Choline Chloride, A-Tocopherol Acetate (Source of Vitamin E), Niacin, Calcium Pantothenate, Vitamin A Supplement, L-Ascorbyl-2-Polyphosphate (Source of Vitamin C), Pyridoxine Hydrochloride (Source of Vitamin B6), Thiamine Mononitrate (Source of Vitamin B1), Riboflavin Supplement, Vitamin B12 Supplement, Vitamin D3 Supplement, Biotin, Folic Acid), Minerals (Zinc Sulfate, Zinc Amino Acid Chelate, Ferrous Sulfate, Manganese Sulfate, Manganese Amino Acid Chelate, Copper Sulfate, Copper Amino Acid Chelate, Sodium Selenite, Calcium Iodate), Avocado Oil, Yucca Schidigera Extract, Rosemary Extract, Sage Extract, Pineapple Stem (Source of Bromelain), Papain, Dried Bacillus Subtilis Fermentation Product, Dried Aspergillus Oryzae Fermentation Product. 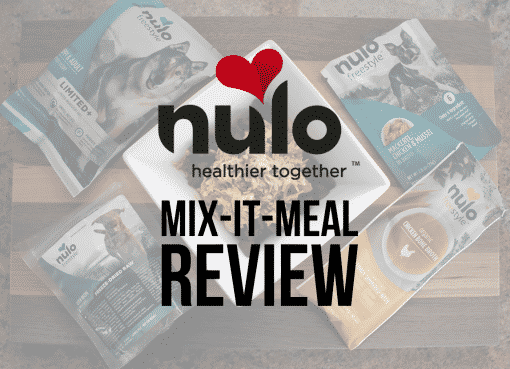 This dog food was found to have a healthy nutrient breakdown that meets AAFCO standards. The ingredients list is quite a bit longer than most, but we like that there is not corn fillers. 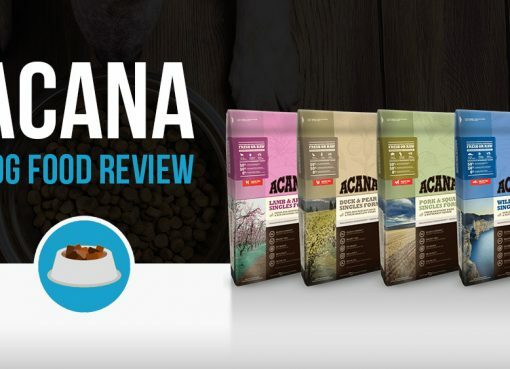 There are a few more unique ingredients that you may not see in dog food quite as often, including chicory root fiber and probiotics (the crazy sounding fermentation names at the end of the list), but these both aid in digestion. Mixed tocopherols: Tocopherol may sound like a nasty chemical, but it’s actually a naturally occuring organic chemical compound and a type of Vitamin E. Tocopherol can be derived from various nuts and vegetable oils. These serve as a natural preservative for dog foods. L-ascorbyl: A source of Vitamin C.
Rosemary: Rosemary is a natural preservative and is very common in dry dog foods. AvoDerm only has a handful of different product lines, most of whom have a corresponding wet food variety. 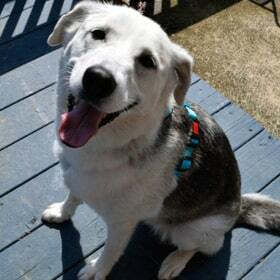 Some also have treats, as well as both puppy, adult, and senior versions. They do not, at this time, have any breed specific varieties, but there are some products marketed to wider segments of the population, (ie. Joint health, weight control, and small breed). The flagship product of the company, the standard AvoDerm is by far the best seller and what they are most known for. In recent years, the company has significantly begun to expand on this line, adding in new varieties, including several grain free blends. All bags of AvoDerm, however, maintain the use of the avocado as a staple of their nutrition, and maintain the use of other high quality ingredients for which the brand is known. A newer addition to the AvoDerm lineup, Oven Baked foods are made in small batches and marketed towards animals with sensitive stomachs. The company also mentions on its website that Oven Bake foods all have vitamins, minerals, and antioxidant nutrients added in to help support your dog’s immune system, as well as the healthy Omega acids to help keep a shiny coat on your pet. Health Solutions is an all grain free blend that is directly marketed at animals that might have health problems. This line comes in three varieties, Joint Health, Senior Health, and Senior Health Small Breed, and has several added in vitamins and minerals added in to help keep your pup running at peak efficiency, no matter their age. They also add in DHA, to help keep their eyes sharp and their brain ticking. 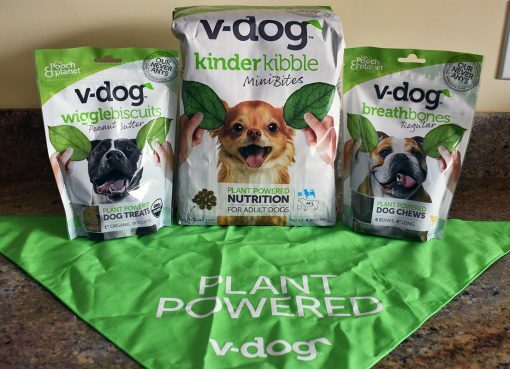 In response to some of the wider variety offered by competing brands, AvoDerm rolled out Revolving Menu within the last few years, offering dogs options like Trout & Pea or Duck, among other things. According to their website, “these recipes were specifically formulated for the option of rotational feeding, so you can feel confident about giving your dog ‘variety,’” meaning that these are a great choice for anyone with a particularly picky dog, or for anyone who just wants to offer their pet something more than the standard chicken flavors that dominate so much of the market. 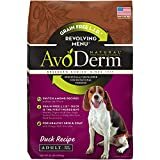 The history of AvoDerm can trace its roots back to 1947, when it started life as the Breeder’s Choice Pet Food Company. This early incarnation sought to sell numerous novelty meals to breeders and zoos, primarily in the form of frozen pet meals. In 1960, the company began to offer kibble and biscuits, adding a factory to their manufacturing facility that still exists today. AvoDerm, as we know it now, however, seems to have come about by happy accident. In the early 1980’s, the owner of a local co-op avocado farm apparently had a surplus of his crop, and, seeing that he wouldn’t be able to sell them at the market, drove up to the doors of the Breeder’s Choice factory to ask if they might be interested. Company officials did a bit of research, and, in 1982, accepted the offer, launching the brand we know of today as AvoDerm. 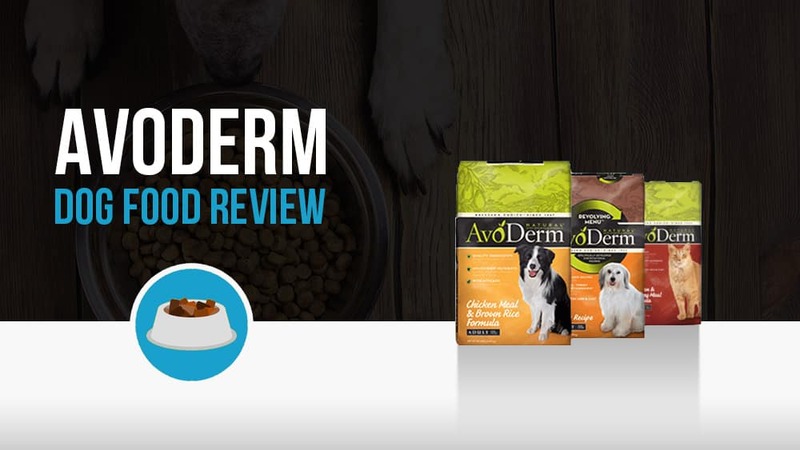 AvoDerm can be found at almost every pet food retailer, and is carrier by both specialty shops and big-name stores. Don’t expect to find it at the grocery store, however, as the brand is not about to lower itself to that tier.